What can I expect at Andrew Keirl Opticians? The content of an eye examination and the equipment used will vary from patient to patient. We are proud to boast some of the latest optometry equipment within the practice and are often asked by patients what the kit does. 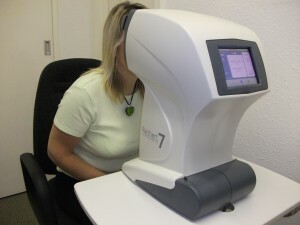 So here’s a brief explanation of what some of the equipment does along with a brief overview of some of the services offered by Andrew Keirl Opticians in Liskeard. 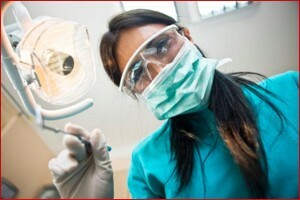 We are more than happy to offer a guided tour of the equipment during a consultation. Just ask! In the early diagnosis of many vision problems, high resolution digital retinal imaging provides an invaluable tool, enabling us to record and later compare images of each retina at follow up visits. This procedure is essential in the monitoring and early diagnosis of problems related to diabetes, hypertension, glaucoma and macular degeneration. We take photographs of the back of the eye of almost everyone we see so that we can build up a long term picture of how the eyes are changing over time. There is nothing as good as having a previous image to help us decide if something new is going on. When you look at something you not only see the object you are looking at, but you can see all around it. The area that you can see (without moving your head or eye) is called your visual field. Any condition that affects the nerve of the eye or the brain like strokes or trauma can result in a loss of areas of peripheral vision and affect a patient’s visual field. This is clearly a dangerous thing for drivers or even pedestrians crossing the road if, for example, the left side of both eyes is missing. Therefore, we do carry out routine check on most people over 40 and others who are potentially at risk of loss of side vision. 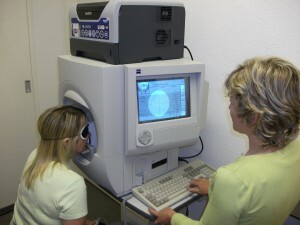 A visual field assessment is performed using a piece of equipment called a visual field analyser. During the test the patient looks at a fixation spot in the centre of the instrument and responds when a target is seen. This is usually a light that flashes on and off once, which will then appear somewhere else on the screen. For some visual disorders such as glaucoma, assessment of the visual fields is essential in determining the extent and development of the disease. Andrew Keirl Opticians in Liskeard are accredited to perform visual field assessments on behalf of the DVLA and the Peninsular Optometrist Community Glaucoma Scheme. The front of the eye may look like a clear window and although it is just half a millimetre thick it has in fact many layers which are impossible to see with the naked eye. The slit lamp is a high powered microscope with a very intense light source that provides a very detailed examination of these layers. Since there are many conditions which result in a “red eye”, only by detailed examination with this equipment can an accurate diagnosis be made. At Andrew Keirl Opticians in Liskeard we use the slit lamp on every patient we see. The eye is kept in its roughly round shape by fluid that comes in at the back of the eye and goes out near the front. Sometimes the drain gets blocked up for unknown reasons and the pressure inside the eye rises. If it rises too high it can compress the small nerves in the eye resulting in a loss of side vision. At Andrew Keirl Opticians in Liskeard we can measure the pressure with one of two instruments; one requires us to anaesthetise the eye with drops before touching the surface with a very sensitive probe. The other more common method uses an instrument known as a non-contact-tonometer which employs a puff of air. At Andrew Keirl Opticians in Liskeard we specialise in all aspects of vocational vision assessment, providing a full eye examination and visual task analysis to correctly identify visual requirements relating to the workplace. We are able to offer advice relating to eye protection and VDU/workstation use. “My eyes often feel gritty and uncomfortable” is a common complaint. However with the introduction of the latest techniques in dry eye assessment and treatment, you don’t have to suffer any longer! At Andrew Keirl Opticians in Liskeard we can examine the nature of dry eye problems and offer expert advice on current treatment options, tailored to suit your individual needs. These may include ocular lubricants, heat treatment and eyelid cleaning. We can also provide advice for patients who suffer from allergies such as hay fever. Sometimes things do go wrong with the eyes. It is rare these days for people to lose their vision completely, but conditions such as glaucoma, macular degeneration or damage to the eye from disease or injury can result in substantial visual loss. The risk of these problems generally increases with age, and most people with low vision are over 70 years of age. At Andrew Keirl Opticians in Liskeard we have a wealth of experience in dealing with the practical issues surrounding partial sight and blindness. We have useful information and advice for people with poor vision and their families, to help them adapt to the change in lifestyle and how to use the many magnifiers and visual aids we have available. If you think a low vision assessment would be helpful to you, please contact us for an appointment. In the early diagnosis of many vision problems, high resolution digital retinal imaging provides an invaluable tool, enabling us to record and later compare images of each retina at follow up visits. Andrew has been using this instrument for the last five years. However things move on and Andrew has recently invested in state of the art technology by introducing an OCT to the practice. 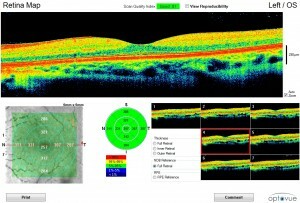 OCT is Optical Coherence Tomography. 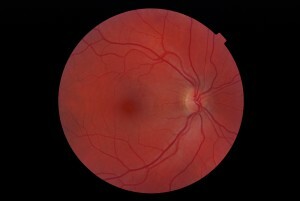 This is the next generation in imaging the internal structures of the eye. The OCT is a special scanner that creates a sort of optical ultrasound three dimensional image of the inside of the eye. The unique way the image is formed means that for the first time we can actually see below the surface of the retina and view the microscopic layers beneath. This is of profound importance in determining the precise diagnosis of visual problems and in helping to guide patients on the treatment options possible. Typical conditions requiring an OCT scan include macular degeneration or drusen, macular hole or epiretinal membrane, at risk glaucoma, vitreous floaters, diabetic retinopathy and optic nerve disease.